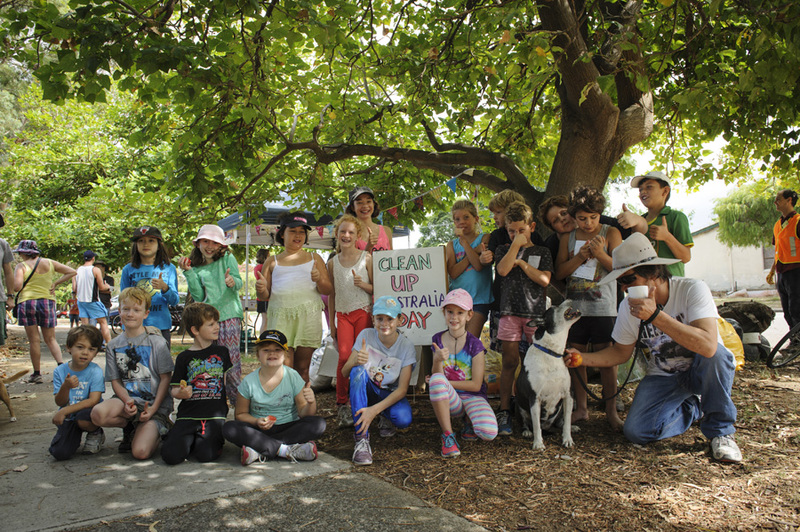 The Guildford Primary School P & C and Transition Town Guildford hosted a Clean Up Australia Day on the weekend and over 50 people spent the morning beautifying the area. The good news was that many people reported much less rubbish around the Primary School and Helena river, where we’ve cleaned up over the last 5 years. Sounds like we’ve managed to get on top of the historic waste! 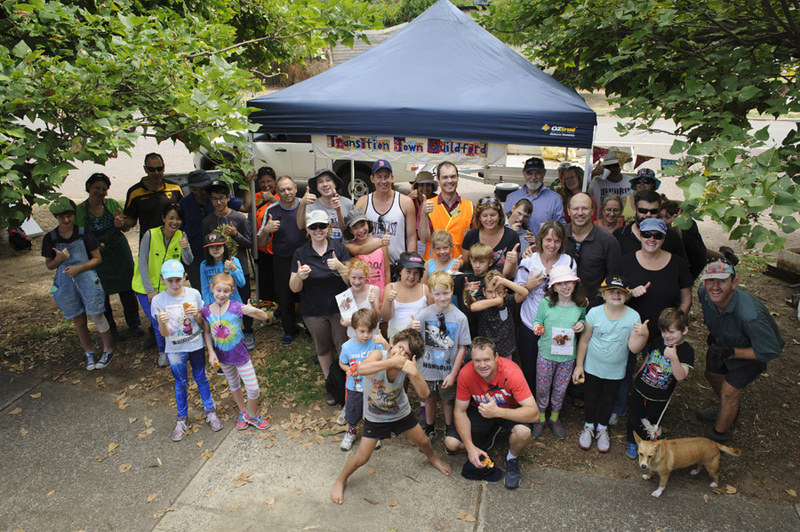 While some children seemed disappointed that it was harder to find rubbish, this good news meant that people could branch out further afield over the whole Guildford town site. Thanks again to all the Primary School children and their families who took part! A special thanks to Alacrity Foods who provided the delicious morning tea biscuits and Bolt Coffee Roasters for providing the coffee. 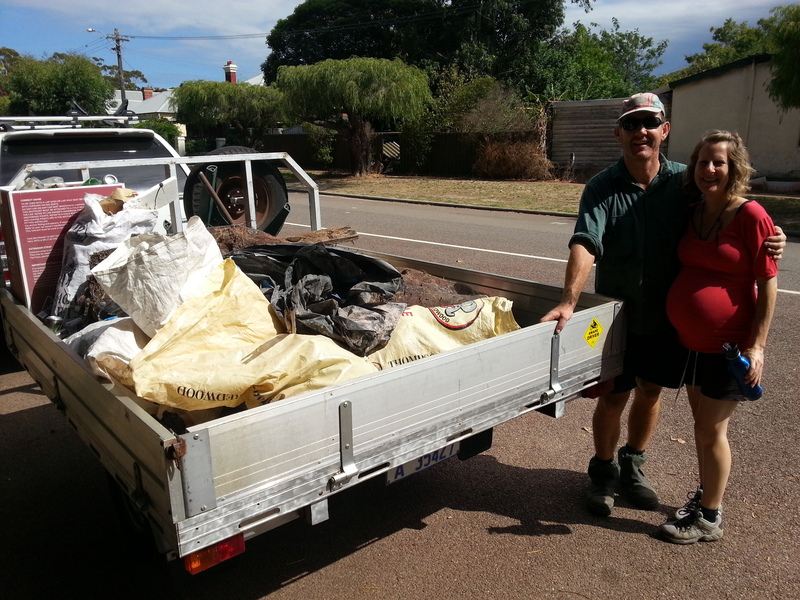 Thanks also to Murray and the waste team at City of Swan for collecting all the bags. Finally, thanks to the Guildford Primary School P & C for co-hosting. It was a great result and we hope to do it again next year! Maybe you’d like to host a site near you in 2016? If you’re interested, check out the Clean Up Australia Day website. 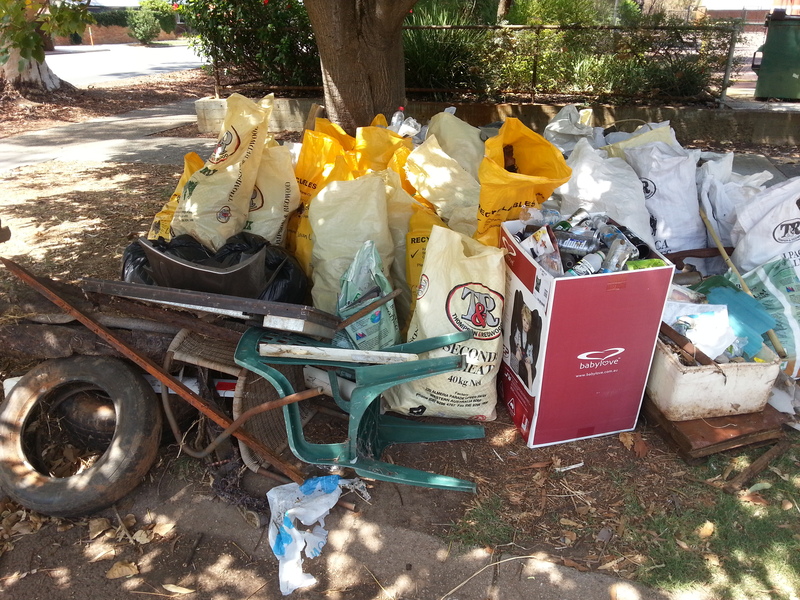 This entry was posted in Community, Environment, Event, Waste & Recycling and tagged Alacrity Foods, Bolt Coffee, Clean up Australia day, CUAD, Guildford Primary P&C, Guildford Primary School. Bookmark the permalink.